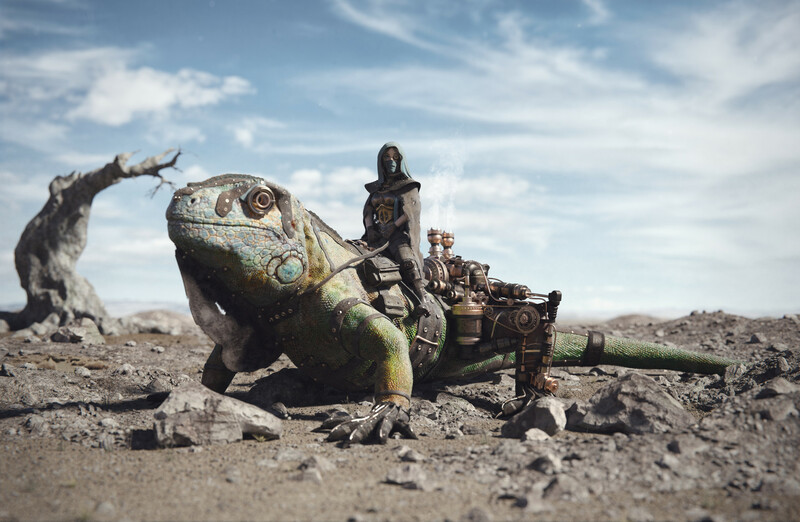 Manuel Peter used Blender, Krita and Substance Painter for this impressive image. 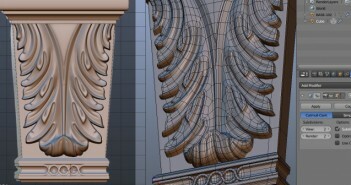 Hat tip to @Allegorithmic for suggesting it! Sweet. Blender and Krita are so great, and while substance painter ain't exactly in the open-source canon, it's hard to deny how good it is. That's a brilliantly natural and detailed image, but there's just one thing not right: the depth of field effect. The foreground and background blur give the impression of a macro lens close-up (almost the 'toy town' effect), but the viewer must be standing outside several metres from the creature. At this focus distance the background would not be blurred at all. I guess that depends on whether it is the lizard that is life size or the human. I prefer to think the lizard is life size and this is a very tiny human. Seems more imaginative and interesting that way. As founder of HybridLizard company I approve ;-), lol. Great piece of artwork anyway.